With the new year upon us, it is often a time for reflection on the past. Intrinsic Quality has been in the business of In-circuit test and functional test development for over 25 years. During this time we’ve completed a wide variety of projects, from small fixtures to large rack based test stations. These projects have been utilized by major manufacturers in the automotive, medical, computing and entertainment industries. Our ICT projects have included development for Teradyne and GenRad testers. 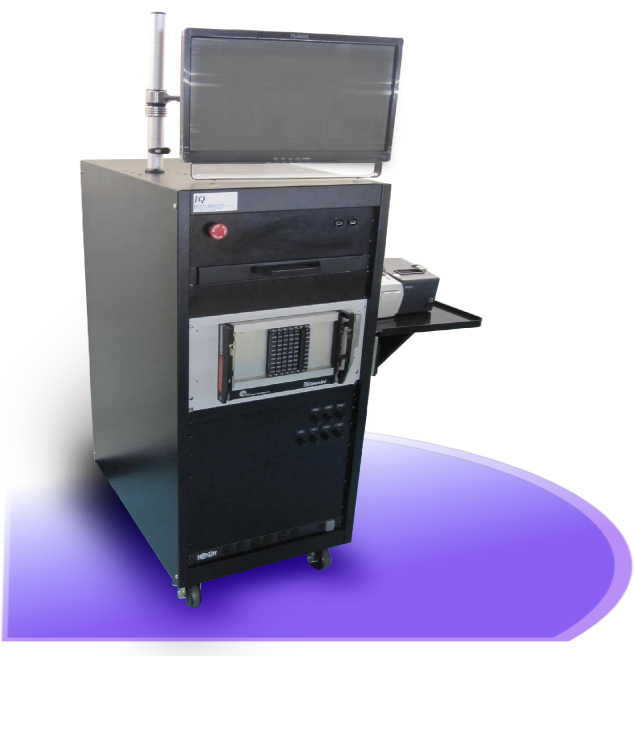 With our decades of experience, Intrinsic Quality has used a wide range of In-circuit test technologies. The fixture above utilized OpensXpress (framescan) for the testing of integrated circuits and microcontrollers mounted on the PCB (printed circuit board). This fixture utilized a FlashRunner programming engine for the programming of flash devices mounted on the DUT (device under test). Intrinsic Quality has also produced a breadth of functional test solutions, ranging from complex PC integrated test stations, to simple semi-automated testers. This tester to the right utilized Intrinsic Quality’s BarnOwl, a standalone microcontroller powered functional tester. This implementation included a video camera and a small monitor for the operator to confirm that the LCD display on the DUT was functioning. A camera was positioned underneath the probe plate with an aperture cut in it. The circuit board being tested was a water softener control board. The BarnOwl technology has also been used in high voltage testing applications, as shown below. To ensure operator safety, a thick plexi-glass enclosure was designed. This tester also used Feasa LED analyzers for testing the color and brightness of the LEDs on the DUT. Solenoid actuated push buttons were used to test the functionality of buttons on the DUT and pins inside of alligator clips were used to connect test resources to a block connector on the DUT. A touch-pad was implemented for the operator to enter ID codes. The device being tested was a humidifier control board. This tester above was used to test an air pressure transducer board. To ensure that the DUT was correctly converting the input air pressure to a set voltage, Intrinsic Quality engineered a variable air pressure input to check that the DUT responded correctly a variety of pressure ranges. Operator information was displayed with an LCD screen. Intrinsic Quality also creates PC based test stations. These functional testers are often implemented for universal testing, with exchangeable fixtures. Not all of Intrinsic Quality’s testers are this involved – Intrinsic Quality also makes simple, semi-automated functional testers as requested by our customers. This semi-automated tester on the right used panel meters (visible along the back) to display test measurements from the DUT for the operator to make pass/fail decisions. The convenient microcontroller powered tester below precedes through different test steps at the press of its large green button. Different LEDs displayed whether the test is in progress, has failed or passed. Intrinsic Quality intends to continue to widen our breadth of capabilities over both the new year, and decades to follow. For more information on Intrinsic Quality’s test development solutions, visit www.IntrinsicQuality.com or contact us at 847.258.5598. Intrinsic Quality recently completed another universal PC based functional tester – however, this tester wasn’t built to test small circuit boards. This tester is designed to test the wiring of 1,000 LBS assembly cabinets to be mounted in giant earth moving trucks. Our customer had been having these cabinets tested by hand and had predictably poor results. The test time was days instead of minutes and resulted in false positives and false negatives. The tester we developed eliminated these problems. To provide the maximum return on investment, the tester was designed with a Virginia Panel fixture / receiver configuration with a custom created harnesses specific to the DUT (Devices Under Test). The tester is powered by a computer that uses National Instruments PXI test resources. These test instruments were connected through Intrinsic Quality’s own TVS (transient voltage suppression) circuit boards to protect the instruments from dangerous voltages and currents caused by miswired DUT. The test resources are multiplexed to different test locations by Intrinsic Quality custom designed relay boards. The operator interface includes a touch-screen monitor, along with a built in keyboard/touchpad shelf. To guarantee ease-of-use, we used a custom created GUI (graphic user interface) to display detailed instructions and information to the operator. Test data is collected and stored through a MySQL database for later analysis by the customer. 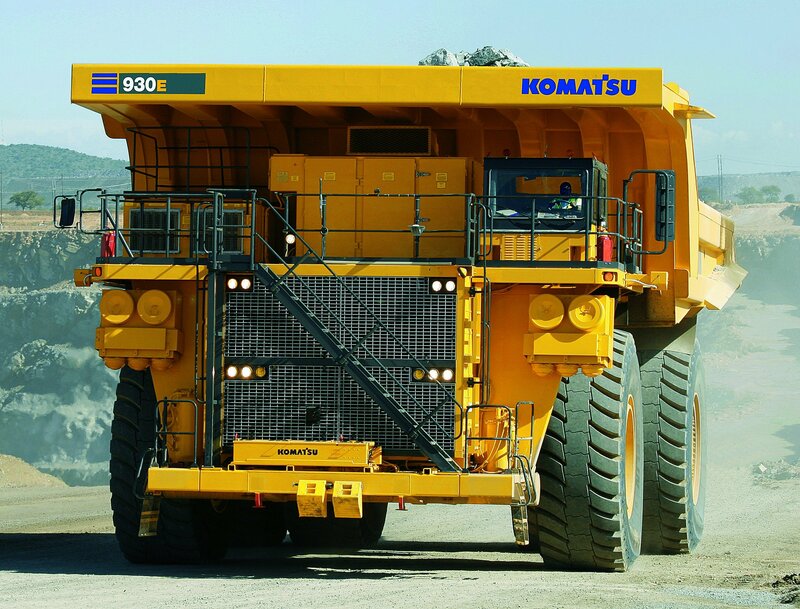 Upon delivery and implementation, this tester is expected to minimize the time necessary to complete an earth mover and to decrease overall production costs. Like the earth mover, the results are expected to be gigantic! Call Intrinsic Quality today at 847-258-5598 to develop your test solutions with our engineers. You are currently browsing the Intrinsic Quality LLC blog archives for December, 2012.